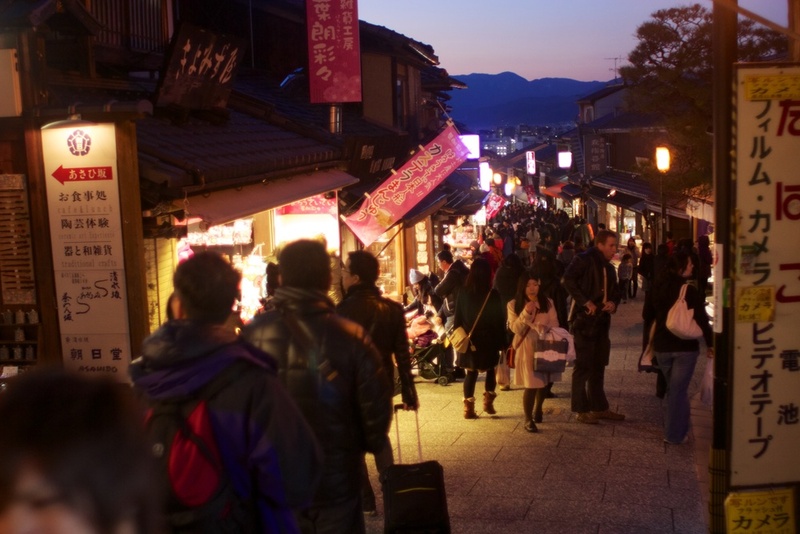 My fiance and I spent the last days of 2013 in the beautiful Kyoto. Here are some of the things we saw at Kiyomizu shrine and surrounding places. 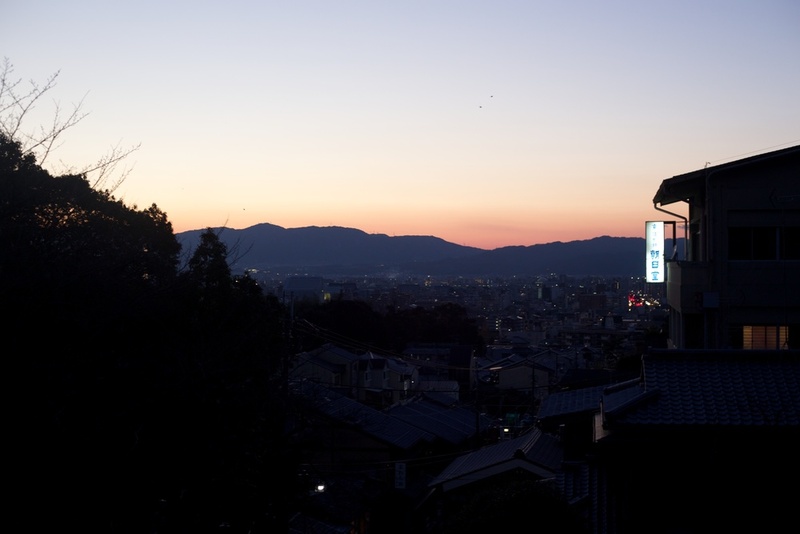 We took the bus from Kyoto station to Kiyomizu and watched the sunset on the mountains. Winter in Kyoto is extremely cold, but we had fun walking down the street, finding snacks to munch on along the way.